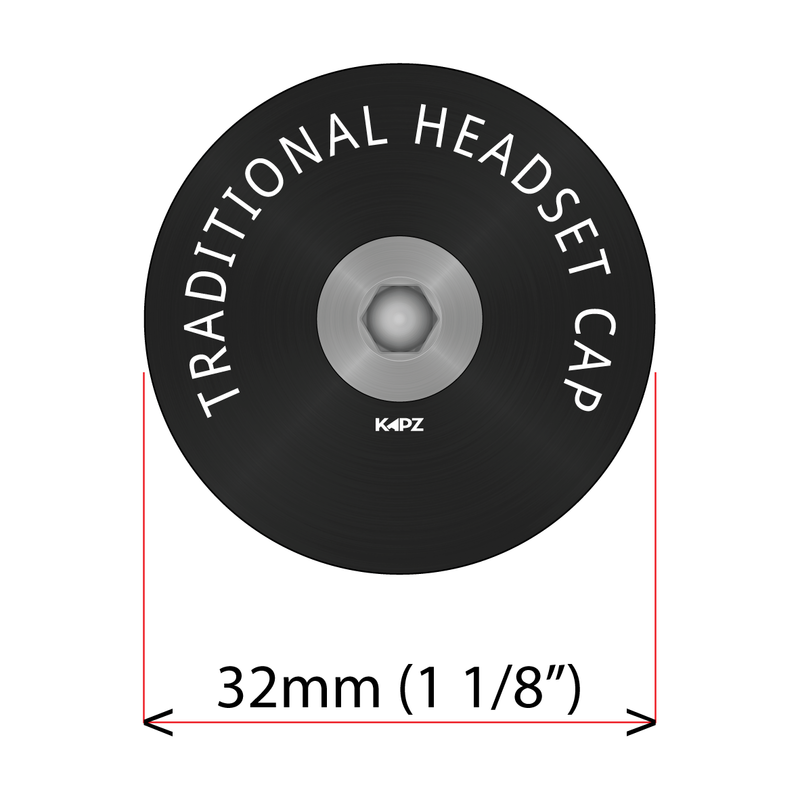 Need to know which headset cap product is right for you - start your journey here! Fits 99% of modern bicycles that have a cap and a bolt installed. We make traditional caps in aluminium, titanium, copper, brass and stainless steel too. 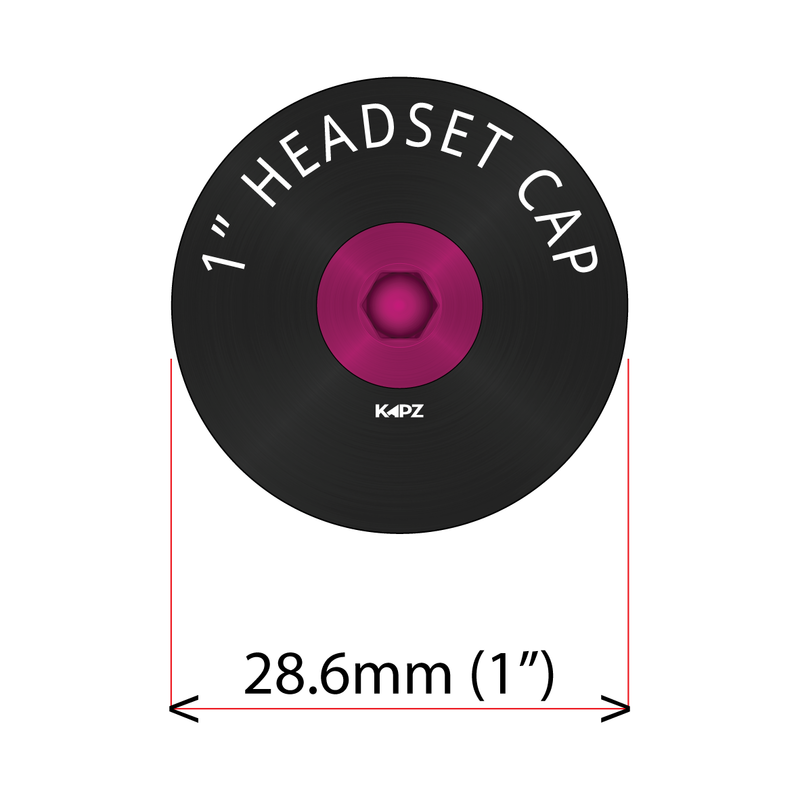 The cap is 32mm (for 1 1/8" headsets) in diameter and the bolt is an M6 Cap Head Bolt made from aluminium, stainless steel or titanium. These super-flat, headset caps fit 99% of modern bicycles that have a cap and a bolt installed. 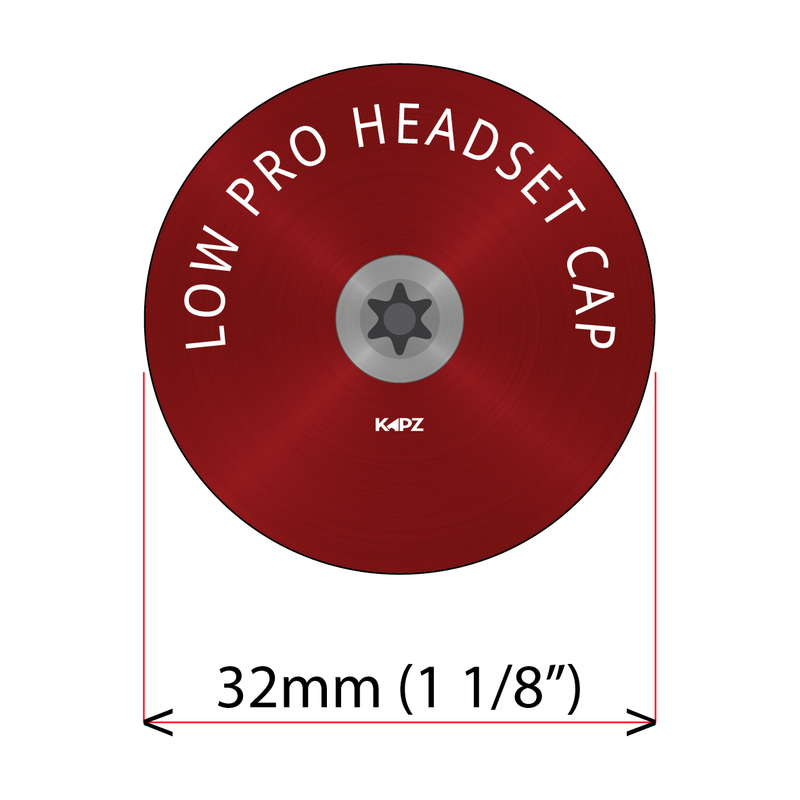 The Cap is aluminium and 32mm (for 1 1/8" headsets) in diameter, just 3mm deep and the bolt is a special M6 bolt made from stainless steel or titanium. 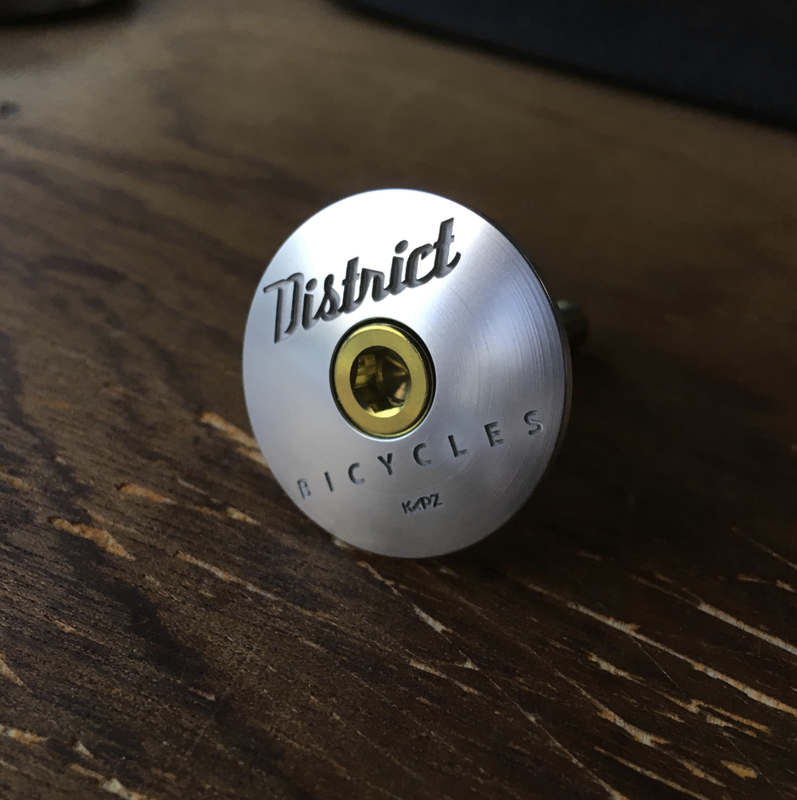 Our amazing boltless (hidden bolt) headset caps have a hidden bolt and will fit any bicycle that has a traditional 32mm (for 1 1/8" headsets) headset cap and bolt fitted. Installation and removal is so simple and can installed on your bicycle in under one minute. The bolt is hidden underneath the cap, which simply presses securely in place into the retainer, which is first fitted with the bolt. The whole boltless cap is 32mm in diameter and the bolt is an M6 cap head bolt. The retainers are available in either aluminium or stainless steel and the cap inserts are available in both aluminium or titanium. 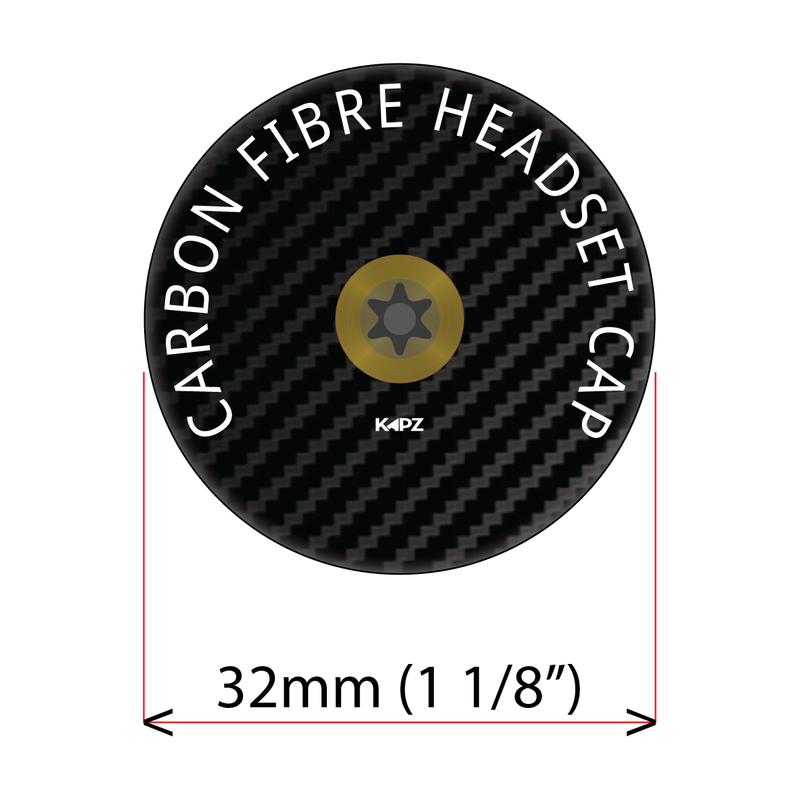 Our amazing carbon fibre headset caps fit any bicycle that has a traditional headset cap and bolt fitted. 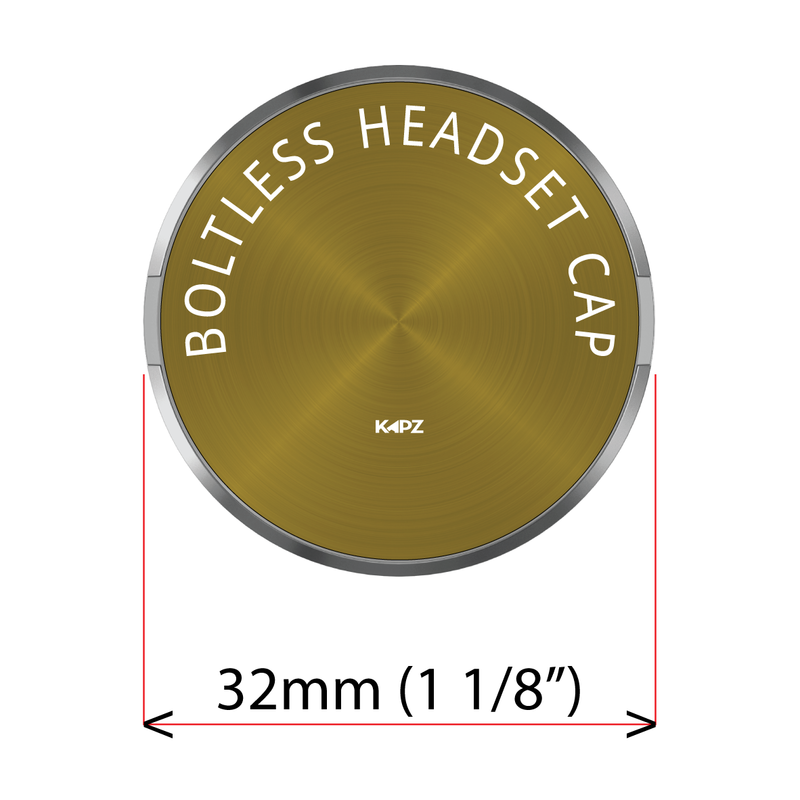 We make an engraved headset cap with an engraved and colour filled finish, with any design you want on them The cap is 32mm (for 1 1/8" headsets) in diameter and the bolt is a special M6 bolt made from either stainless steel or titanium. Designed specifically for some older and BMX bikes. The black 1" aluminium caps are 28.6mm in diameter and the bolt is an M6 cap head bolt. 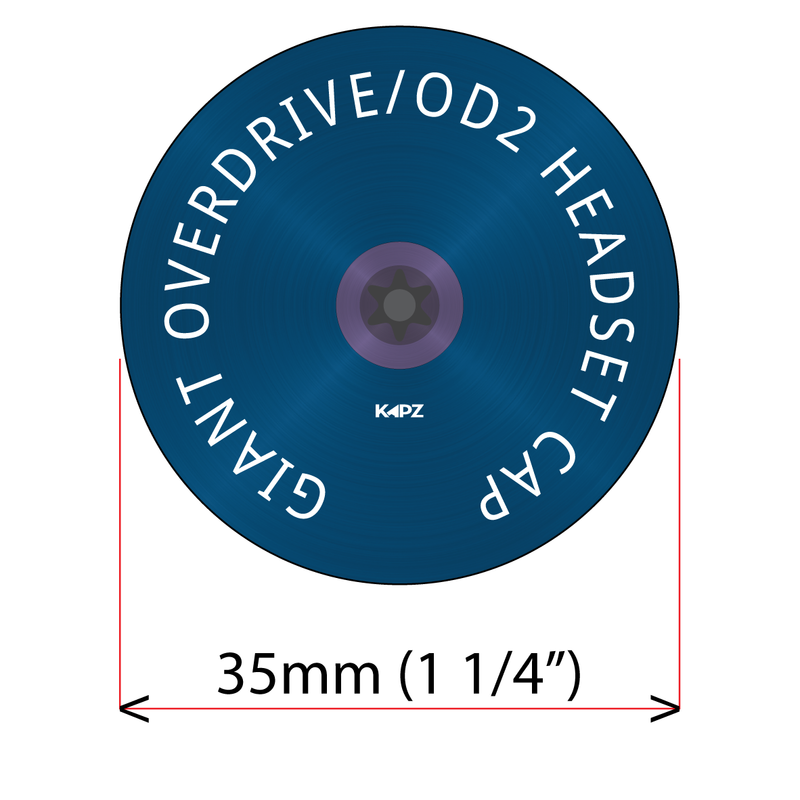 Our giant overdrive headset caps are made from aluminium and are designed to fit the giant OD2 headset system with the lowest profile possible. They also fits some round Canyon headsets that have an M4 x 50mm bolt. They are 35mm (for 1 1/4" headsets) in diameter and come with a special M6 (or Canyon M4 x 50mm) bolt that is 24mm long and made from either stainless steel or titanium. 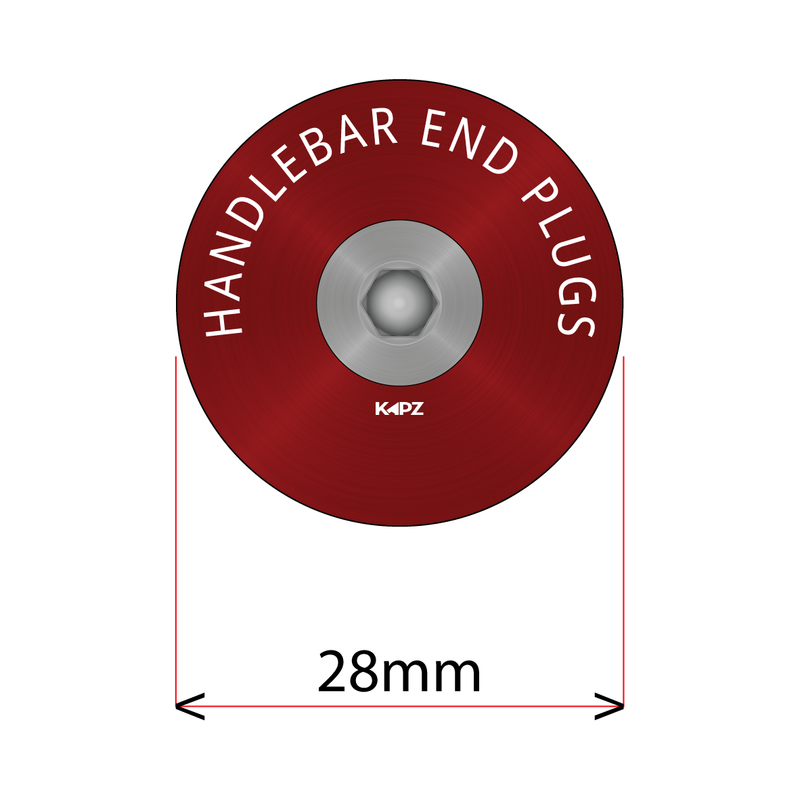 KAPZ handlebar end plugs, utilise the most robust fixing design available anywhere on the planet. An all metal construction sees to that. Our end plugs will fit most road and mtb handlebars, if you can get a 1p or a 1c coin into the ends of your bars - they will fit perfectly. 28mm bar end + an M6 cap head bolt to secure. 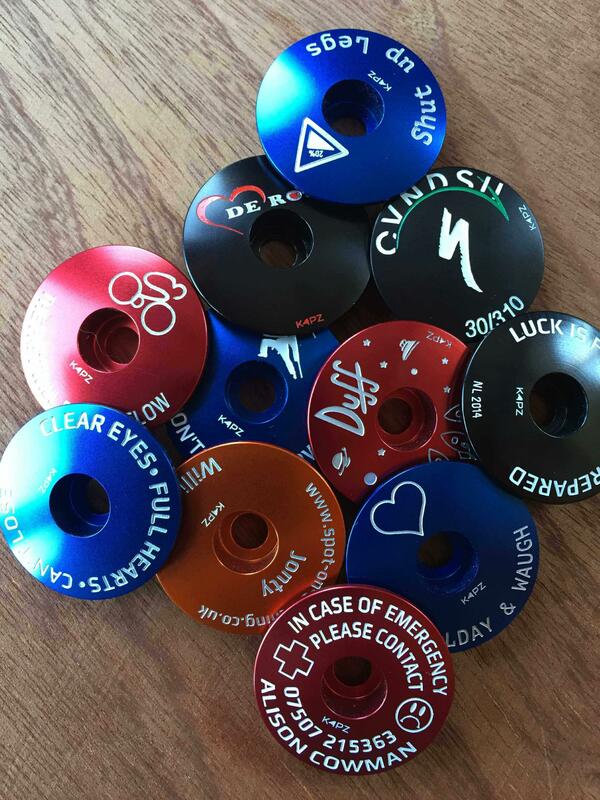 We offer a range of caps, materials and finishes - laser etched, deep laser etched, carved, full colour and engraved - different designs suit different finishes - if you get stuck and need some advice/help - just get in touch and we will do our very best to help you. All laser etching comes out white. 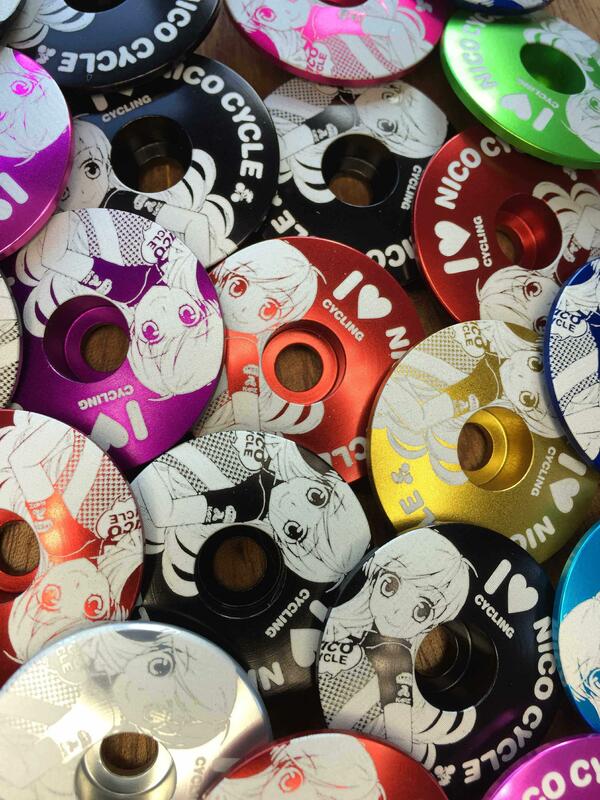 Laser etching is done on shiny anodised and titanium headset caps. The accuracy and detail will astound you. 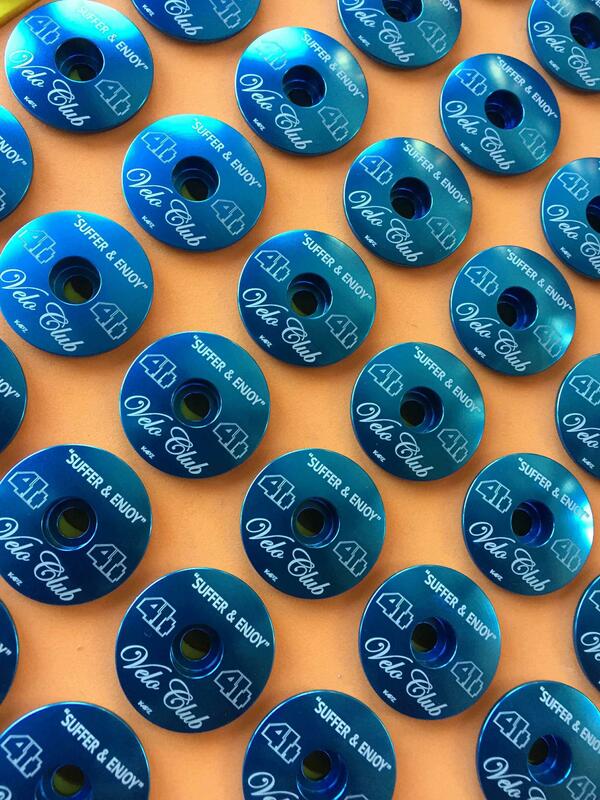 All our standard caps are laser etched 3x which gives a nice feeling of depth to the end product too. 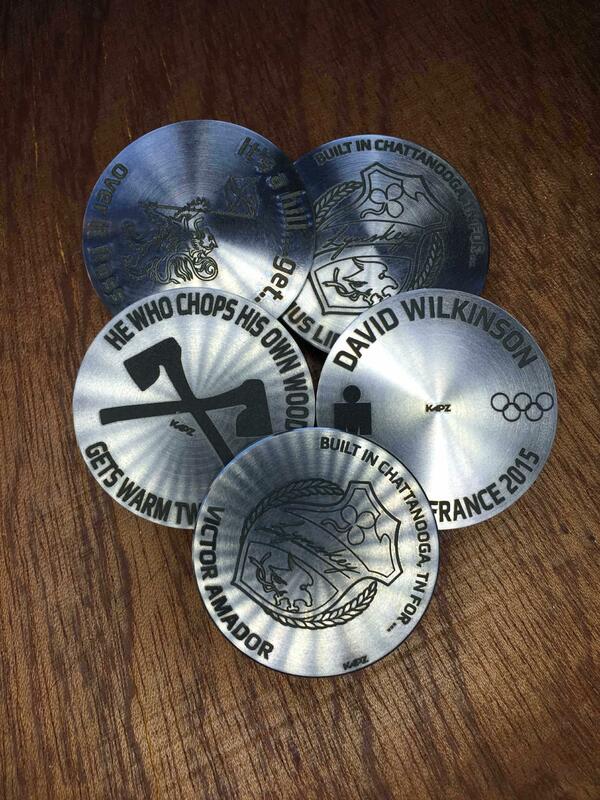 We can add deep laser etching on certain designs too. On titanium, all etching comes out a subtle shade of grey as standard - we can also etch titanium in blue, gold, red and silver or even all 5 colours in one go too. All the etching colours on titanium are very subtle. All carvings are ultra deep laser etchings. Designs with big areas of etching are best suited to this finish. We can advise you, if you are not sure yourself. Chunky text and bold images are best. Our full colour caps are filled with bright and vibrant HD colours - any design/any image you like. 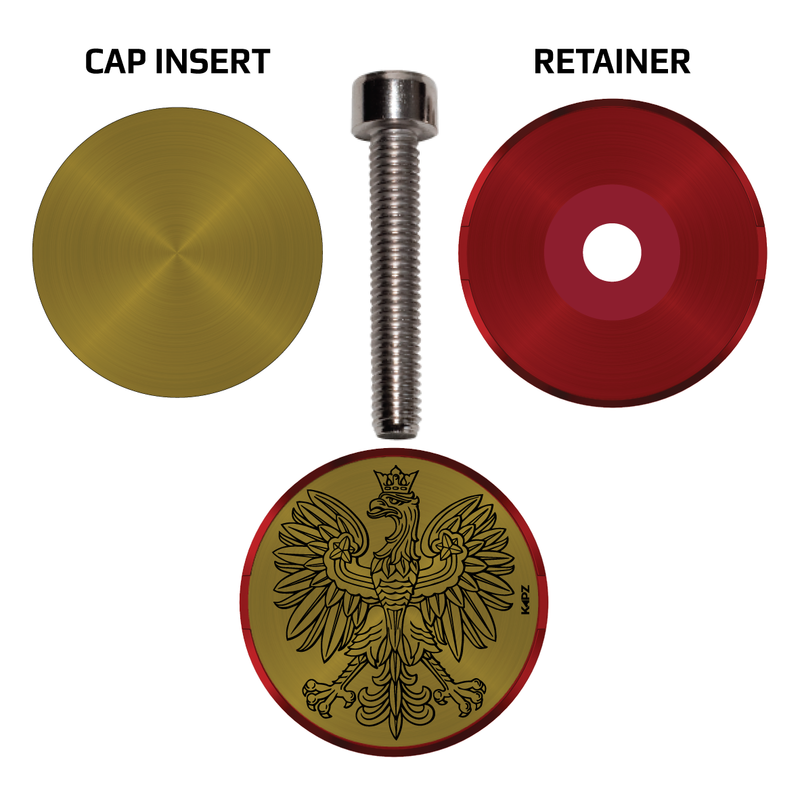 The base caps can be black, white, silver or gold - depending upon the design chosen. IN certain circumstances we can apply a metallic colour to the design as well. 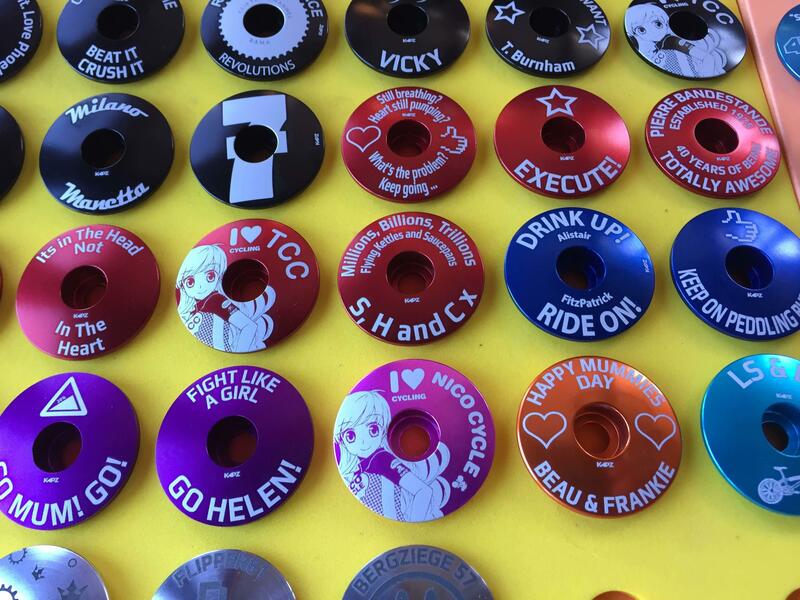 Engraved headset caps are the ultimate in design, detail and quality. 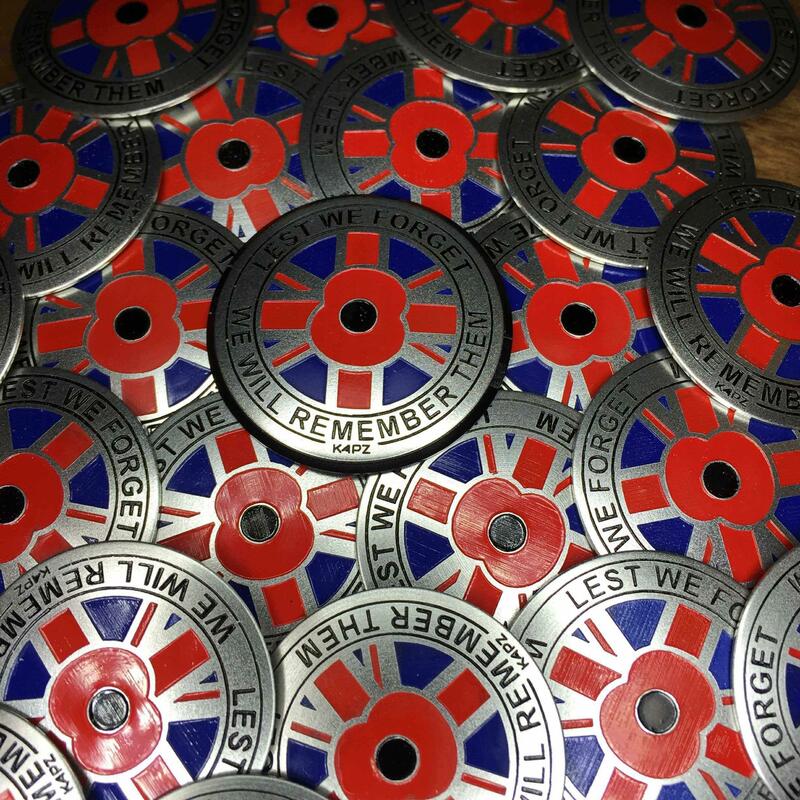 Engraving out the metal of your design will leave a silver finish, which we can then fill with colours of your choice. 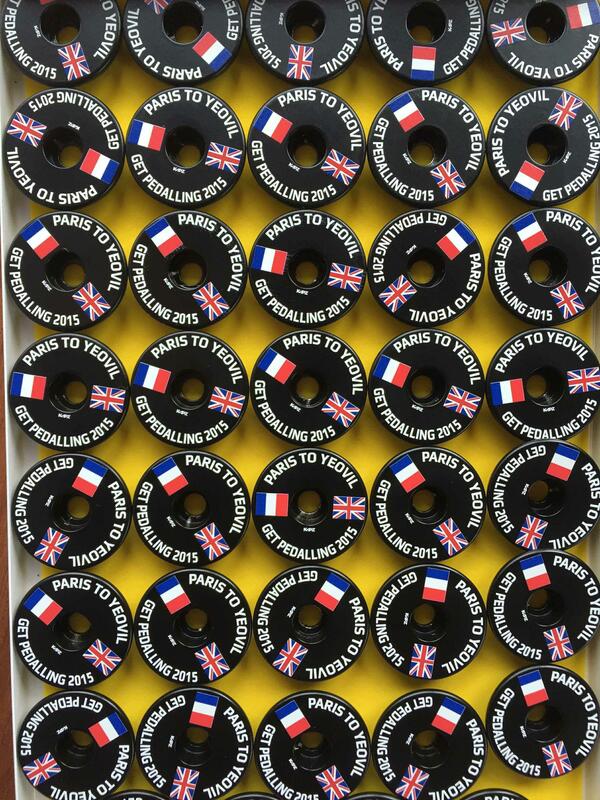 Still not sure what to buy your cycling bestie? - why not buy them a KAPZ Gift Voucher . . .